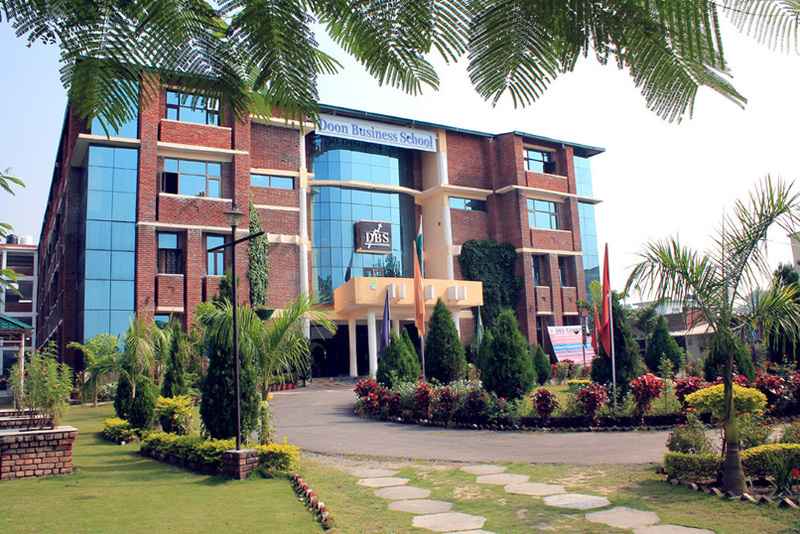 Doon Business School is located in Dehradun, Uttarakhand. The courses run by the college are affiliated with different universities. MBA and Integrated MBA are affiliated with Uttarakhand Technical University and the remaining UG, PG programs are affiliated with HNB Garhwal University. Doon Business School runs BA (Hons), BBA, BCA, B.Com programs of 3-year duration along with MBA, MBA-IB, MA program of two-year duration and Integrated MBA course of a five-year duration. Candidates can apply for admission to the course in either online or offline mode. Admission to MBA is done on the basis of CAT/MAT score followed by GD-PI. For MBA-IB & Integrated MBA, candidates are selected on the basis of academic merit and interview. Selection to PGDM program is done on the basis of CMAT/MAT/CAT/GMAT score followed by GD-PI. For BBA and B.Com, candidates are selected on the basis of merit in the qualifying examination and interview. For BA, B.Sc. and MA courses, candidates are given admission on the basis of merit in the qualifying examination. DBS Dehradun offers 2-year MA and MBA program in 5 specializations and Integrated MBA of 5-year duration. Candidates who have passed Bachelor’s degree in relevant discipline with minimum 50% marks are considered eligible to get admission to MBA program. The minimum eligibility requirement for admission to MBA-IB course is at least 45% marks in any graduation degree. Those who have passed Bachelor’s Degree course with at least 50% marks are considered eligible to join MA. Applicants who have completed 10+2 in any discipline with minimum 50% marks are eligible to get admission to Integrated MBA program. Admission to MA is given on the basis of the applicant’s merit in graduation. Students are admitted to MBA-IB and Integrated MBA course on the basis of merit in Graduation and Interview round. Candidates are admitted to MBA course on the basis of their marks obtained in CAT/ MAT including performance in Group Discussion, and Personal Interview round conducted by the school. Eligible candidates must get register with DBS-G in order to become eligible for admission. Note: For MBA, candidates with work experience will get advantage in interview. DBS offers two years full time dual specialization in PGDM with SAP certification. Minimum eligibility is candidate must have passed Graduate degree in any discipline. Students with work experience will be given preference. Selection is done on the basis of CMAT/CAT/MAT/GMAT score followed by GD and PI. However, candidates need to register themselves with DBS-G. Note: Final year candidates may also apply for admission. Doon Business School offers 3-year BBA, BCA, B.Com & BA (Hons) courses at the UG level. Candidates who have completed 10+2 with English as one major language subject are considered eligible to get admission to BBA program. Applicants who have passed 10+2 in any discipline are eligible to join BA (Hons) course. Those who have completed 10+2 with English and Mathematics as compulsory subjects are eligible to get admission to BCA course. The minimum eligibility criteria for B.Com is 10+2 with at least 50% marks and studied English as a major language subject. Admission to BA (Hons) and BCA course is given based on the candidate’s merit in the qualifying examination. Selection of the candidates to BBA and B.Com course is done based on the applicant’s marks obtained in 10+2 and interview conducted by the college. All SC/ST of Uttarakhand and Uttar Pradesh domicile with less than 2 lacs income are entitled for upto 100% scholarship in tuition fees from Central Govt Scheme and 30% on other charges from college. Females and the candidates of Uttarakhand will get scholarship of 10% in PGDM tuition fees.